truTV and Top Rank® will partner to exclusively televise a live Friday night primetime boxing series beginning Friday, May 1, at 10 p.m. ET. The new boxing series, in association with Turner Sports and HBO Sports, will launch on the eve of the Floyd Mayweather vs. Manny Pacquiao pay-per-view fight with a card featuring two title bouts inside The Chelsea at The Cosmopolitan of Las Vegas. Maximizing visibility, the inaugural series on truTV will feature three consecutive weeks of boxing coverage in May – all airing on the evening prior to a Saturday night HBO fight event – along with a slate of five additional fights to be scheduled over the remainder of the year. 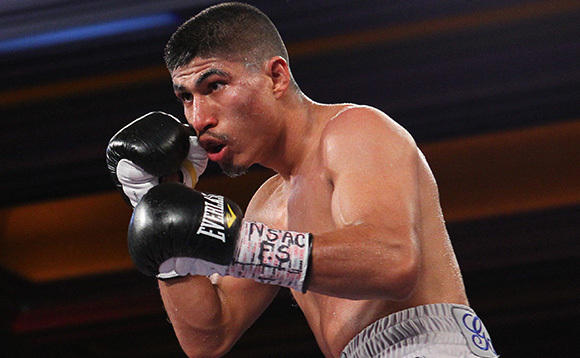 The schedule will regularly feature some of the most exciting, established young talent in boxing. Turner Sports and HBO Sports, with its long and rich history with the sport of boxing, will contribute resources as well as marketing and digital platforms in support of the new series. Tremendous Ticket Sales for Crawford vs. Beltran World Title Fight! ickets to the TERENCE “Bud” CRAWFORD vs. RAY BELTRAN WBO lightweight championship fight have been flying out the window — literally — since going on sale today at 10:00 a.m. CT. Crawford (24-0, 17 KOs), Omaha’s favorite son, will be defending his world title against No. 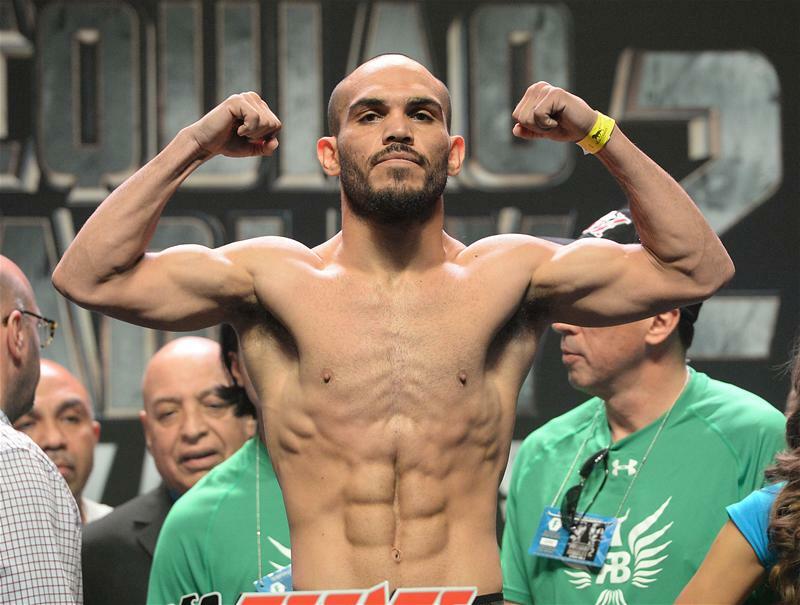 1 contender Beltran (29-6-1, 17 KOs), of North Hollywood, Calif., Saturday, November 29 at Omaha’s CenturyLink Center. The fight will be televised live on HBO Boxing After Dark, beginning at 10:00 p.m. ET/PT. Crawford vs. Beltran is On! Tix Go On Sale This Friday! Undefeated World Boxing Organization (WBO) lightweight champion TERENCE “Bud” CRAWFORD, Omaha’s favorite son, will make an encore hometown title defense on the heels of his wildly successful victory over previously undefeated world champion and Cuban sensation Yuriorkis Gamboa. 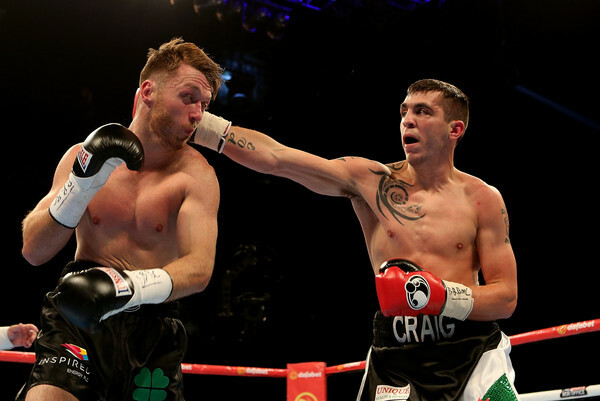 Crawford will defend his title against No. 1 contender and mandatory challenger RAY BELTRAN on Thanksgiving weekend, Saturday, November 29, at the CenturyLink Center. The fight will be televised live on HBO Boxing After Dark, beginning at 10:00 p.m. ET/PT. Promoted by Top Rank®, in association with Tecate, tickets to the Crawford vs. Beltran World Lightweight Championship event will go on sale This Friday! October 3, at 10:00 a.m. CT. Reserved seat tickets start at just $27, with remaining tiers priced at $52, $77 and $127. They will be available for purchase at the CenturyLink Center Omaha box office and all Ticketmaster outlets. To charge-by-phone call 800-745-3000. To order online, visit Ticketmaster.com. Another weekend, another controversy in our great but tainted sport. Of course, I am referring to the Carl Froch “victory” over George Groves, as he retained his IBF and WBA super-middleweight titles at the Manchester Phones 4u Arena on Saturday night. 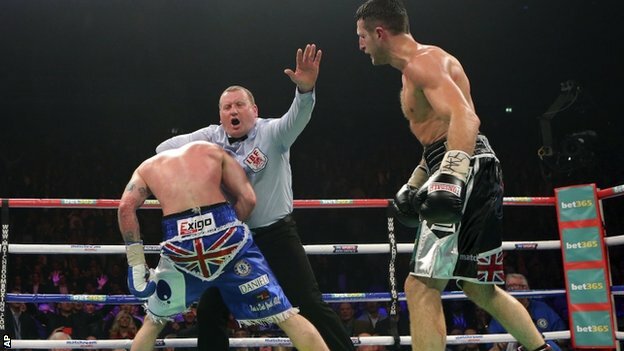 Most of the blame for the controversy and a lot of the attached vitriol has been aimed at Howard Foster, the British referee who stopped the fight too early in most viewers’ eyes. Foster, though, does have an argument for vindication, particularly in light of the recent injuries that have befallen several boxers around the world in the last few weeks. He could say that this was perhaps in his mind as he separated the two fighters for the final time. Ricky Burns’s manager Alex Morrison has revealed that the 30-year-old Scot is set for a rematch with Mexico’s Raymundo Beltran in February. The current WBO world lightweight champion had his jaw broken by Beltran last month in the second round of a bout that was eventually confirmed as a draw, a result that infuriated the Mexican’s camp.